That’s not all we’re doing to support HTTPS. We're also teaming up with WordPress to make it easy for anyone to build a secure website. They make building secure websites a snap by automatically installing SSL certificates at no cost for domains they host. If HTTPS is locking your online information safely, an SSL certificate acts like the actual lock on the door. 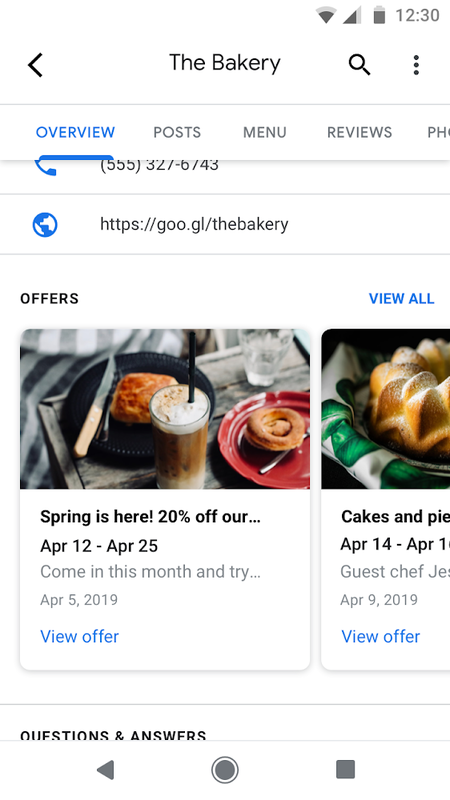 This entry was posted in Official Google Blog and tagged developers, Entrepreneurs, safety and security, small business on March 20, 2019 by The Official Google Blog. From discounts to deals, everyone loves a good offer. Whether they’re shopping at a favorite clothing boutique or trying a local coffee shop for the first time, an offer can attract people to businesses. To help people find these promotions, we’re making offers more prominent on Business Profiles on Google. The new layout introduces a dedicated space for business owners to feature their most recent offers—making a quick decision for their potential customers even easier. For businesses, adding an offer is easy. When creating a post in the Google My Business App, you’ll see an option to categorize it as an offer. From there, you can tailor the details to your specific needs. An offer can include a description of the promotion, a coupon code or any terms and conditions useful to your audience. You can surface up to 10 unique offers in the carousel, providing a list of choices. With this update, we want to make it easier for people to make decisions about where they want to go and simpler for businesses to attract customers. Sign up for Google My Business on the web or download the app on Google Play or the App Store. This entry was posted in Official Google Blog and tagged small business on March 4, 2019 by The Official Google Blog. Ice cream has always been a lifelong passion of mine, and when I went to architecture school, I thought I could use food to make architecture more fun. I knew I was onto something when my friends were devouring my crazy ice cream concoctions—ginger cookies and chocolate wasabi ice cream, anyone? My partner, Freya Estreller, and I decided to do a Google search ("hipster ice cream truck") to see if anything like my ice cream experiments was already out there. Nothing popped up. After we did that search, we saw an opportunity to take a leap of faith and turn my hobby into an actual business. In 2008, we converted an old postal truck into an ice cream truck, brought it to a music festival—and Coolhaus was born. Coolhaus now distributes to over 7,500 grocery stores, has three storefronts and operates 10 mobile ice cream trucks and carts in Los Angeles, New York and Dallas. It’s been a rewarding, challenging and delicious journey. Along the way, people have asked us countless questions about how we built and expanded our business. For us, the answer has always been following the guidance of mentors and partners. You can learn from other female entrepreneurs, whether they're further along in their business journey or just getting started. It's common—almost natural—for us to overthink or feel as if we have to prove something before we ask for a mentor or partner. Have the courage to ask; the worst will be a "no," but the upside is so much greater than that. Fail forward. You're going to fail, so make the most out of how you do that. When you need to cut cords on an idea, do it with efficiency and don't drag it along. Inexperience is not an obstacle. When you realize the status quo are not hard truths, you start to take risks that you didn't realize you were taking. This entry was posted in Google Developers Blog and tagged .dev, developers, Entrepreneurs, small business on February 19, 2019 by Google Devs. Learn about Slack’s helpful tools, libraries, and SDKs at slack.dev. Who doesn’t want to do more with their time? Jetbrains.dev offers software solutions that make developers more productive. Get a sneak peek of what’s running under the hood of the Niantic Real World Platform at ar.dev. Like our recent launches for .app and .page, this new domain will be secure by default because it requires HTTPS to connect to all .dev websites. This protects people who visit your site against ad malware and tracking injection by internet service providers, and from spying when using open WiFi networks. With every .dev website that’s launched, you help move the web to an HTTPS-everywhere future. This entry was posted in Official Google Blog and tagged developers, Entrepreneurs, small business on February 19, 2019 by The Official Google Blog. This entry was posted in Official Google Blog and tagged small business on January 22, 2019 by The Official Google Blog. This entry was posted in Official Google Blog and tagged small business on November 20, 2018 by The Official Google Blog. This entry was posted in Official Google Blog and tagged small business on November 14, 2018 by The Official Google Blog. Editor’s Note: Next week is National Veterans Small Business Week, a chance to celebrate veterans-turned-small business owners, like Suzie Mills, Air Force Veteran and founder of Honest Soul Yoga. Read on about her journey to become a small business owner and how Grow with Google is making it easy to find veteran-led businesses. You can learn more about our Grow with Google resources for veterans on our site. My grandmother served during WWII and when I was growing up she told me stories about how proud she was to be in the military. I wanted to follow in her footsteps and serve my country, too, so I joined the Air Force Reserves in 2004. My unit was deployed to Afghanistan in 2007 and the experience took a toll on my nervous system. I eventually found yoga, which gave me the tools I needed to process and move through stressful feelings in a healthier way. When I finished my service obligation in 2012, I wanted to share the healing power of yoga with other members of the military, and create a place that had a strong sense of community. When I opened Honest Soul Yoga, I quickly realized that a clear, accurate and attractive online location listing for our business was imperative. Quite simply, it’s how people show up at our door. So I turned to Google for help. Products like Google Ads and Google My Business connect me with people who are looking for yoga studios in my area. Before using Google tools we had a phone at the front desk, but it rarely rang. Now, we get several calls an hour! Every call is an opportunity to get a new member through our doors. Being a veteran-owned business is a big part of Honest Soul Yoga’s identity. We understand the challenges of frequently moving to new cities, being away from family, or having family away for extended periods of time. We appreciate those sacrifices and try to provide a place to connect with the community and meet new people. The addition of the Veteran-Led attribute to our Business Profile on Google makes it easier for potential customers to see that we’re military-friendly. We’ve always had big plans for this small business, and we’re grateful for our growth, which includes our second location that opened last month and our third location opening before the new year. Over half of our employees are veterans and military spouses and we’ve been offering weekly yoga classes at Fort Belvoir for military families for more than three years. We aim to give back to the military community any way we can. I’m proud that Honest Soul Yoga became the kind of community that I sought when I left the military—a place where veterans and military families really feel like they belong. 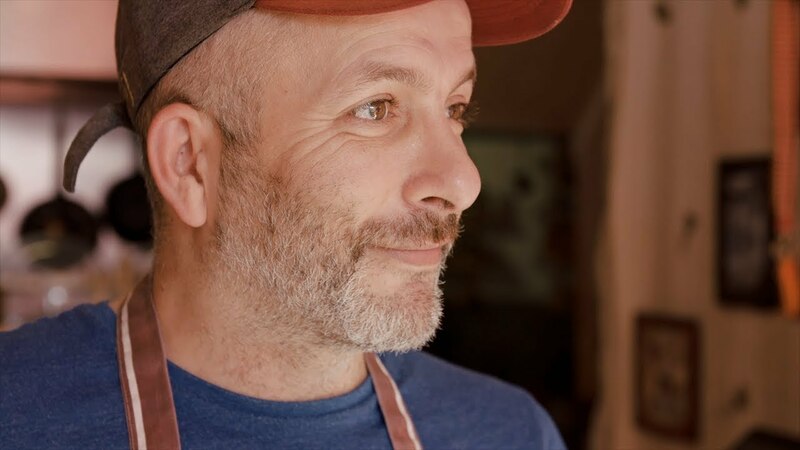 Many other veteran-led businesses have the power to bring people together in this way, too. It’s now easier to find veteran-led businesses across the U.S. with this map, created by Grow with Google. If you’re a veteran-led business, you can also make it easier to let the world know by adding the Veteran-Led attribute to your profile on Google and visiting SmallThanksto create free customized assets to share on social media. This entry was posted in Official Google Blog and tagged small business on November 2, 2018 by The Official Google Blog.